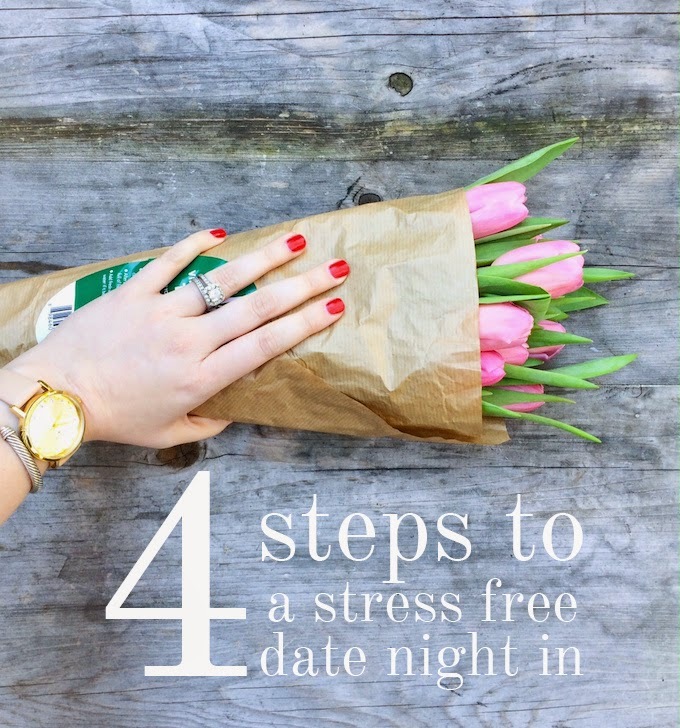 Ah, a stress free date night in; who wouldn't love one of those? I have to say that there was once a time when I refused to stay in on a Friday or Saturday night, but now that I am busy nearly every night during the work week, a night at home gets me almost as excited as a new restaurant (almost). We've been having more and more of these lately, and while takeout is obviously an easy go-to meal solution, why not surprise your spouse with something a little more special. You won't have to cook longer than 10 minutes, you won't have to spend a gazillion dollars, and you won't have to stress at all about the evening. Sound good? Let's hop to it! 1. Capitalize on your neighborhood bakery. You know the one: the one with the cookies and cakes you always deny. Deny them no more! Grab your favorite bakery treat as dessert. My go to? Lucy's Market in Buckhead. 2. Find your local Italian market and familiarize yourself with the guy behind the counter. For one thing, pasta is delectable and romantic, but for another, it's easy peasy to boil water and whip up a quick sauce. I love a good brown butter sage sauce: melt 4-6 tablespoons of butter over low heat, add fresh sage, salt, and pepper to taste, and top with Parmesan. Done! I picked up my hand-filled pasta from Storico Fresco. 3. Splurge on a good wine. And by good, I mean tasty. Tasty can be a $10 bottle! 4. Create ambiance. Ambiance for me means a pretty bouquet courtesy of Whole Foods and a movie from Red Box. How do you enjoy a date night in? Oh my gosh - this date night sounds perfect!! Also, I've never heard of Lucy's Market...how did I miss this place!?! This is the perfect recipe for date night - I'm recreating it next weekend!